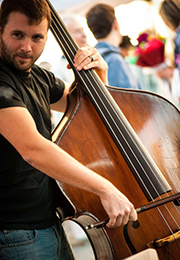 Renegade bassist and composer Nick Gaudette completed a Bachelors and Masters Degree in performance from the Cleveland Institute of Music where he studied under the great Max Dimoff. Nick was the past music department chair at theSaint Paul Conservatory for Performing Artists where he helped create and facilitate a cutting edge music curriculum for aspiring young artists. Nick now directs the high school orchestra program of the Edina Public Schools. He hopes to revision the relevance of orchestra and the importance of the performing arts in the public schools during this ever-changing age. Maggie Bergeron is an organizer choreographer, dancer and teacher. She currently choreographs and directs Maggie Bergeron & Company; instructs dance majors as a full-time adjunct instructor at the University of Minnesota Dance Program; teaches in the Dance Department at the Saint Paul Conservatory for Performing Artists. Maggie holds a BFA in Dance from the University of Minnesota. Her choreography has been seen throughout Minnesota and nationally. 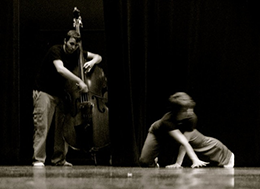 The past three years have brought the premiere of a new work on Momentum Dance Company in Bern, Switzerland, a Jerome Foundation Travel and Study Grant, a new piece entitled “Premonition” for Keshet Dance Company, and the premiere of Hear Here!, a live music and movement festival in Saint Paul, MN. Steve Buettner is the Director of Media and Technology for Edina Public Schools. In this position he is responsible for the application of technology to achieve the organization’s larger mission and vision. Steve began working with education and technology when he co created the award winning online Internet project called MayaQuest. MayaQuest used technology to communicate with over 26,000 classrooms around the world on the subject of the ancient Maya civilization. Steve’s earlier work included co-creating AfricaTrek and SovieTrek. Created as a way to demonstrate collaboration between countries and races, these expeditions successfully set the Guinness World Book of Records for Traversing theSoviet Union 1(2, 888 miles), and Africa (11,885 miles). The video Steve shot while on the AfricaTrek expedition, was later used to create the Emmy award winning documentary produced by KTCA. 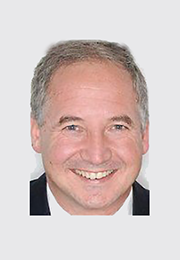 Steve has a Masters degree in Educational Leadership as well as a degree in Economics and Spanish from the University of Saint Thomas, Saint Paul MN. Steve is married and has one daughter and lives in Saint Paul Minnesota. He still enjoys biking and getting out in nature. 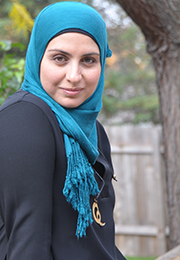 Hanadi is a Muslim Relations Communication Expert living in Eden Prairie with her husband and three kids. An award-winning public speaker and published writer, she received the Eden Prairie Human Rights Award of 2016 for her efforts to dismantle misconceptions about Islam and build bridges of unity. She has been featured in the Star Tribune for her community building projects and has been published in the Huffington Post, American Diversity Report, MinnPost, Engage Minnesota and recently The Guthrie Theater and Mia. She was a speaker at the 2016 National Diplomacy Summit and was recently invited to be a U.S. State Department International Speaker. Hanadi is currently pursuing a Master’s degree in International Leadership at St Thomas University, eager to make a difference in community building and understanding the Middle East region. Before coming to the U.S., she was an award-winning creative and communication specialist working across different media platforms. 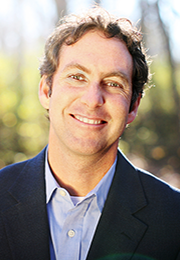 Jeff Dykstra currently serves as the Co-Founder and CEO of Partners in Food Solutions, a consortium of leading global food companies, including General Mills, Cargill, DSM, Buhler and The Hershey Company. These companies are committed to improving food security and nutrition and economic development throughout Africa by sharing the knowledge and expertise of their employees with small and growing food companies (more than 700 to date). All of this made possible through a lauded public/private partnership with USAID. Jeff’s career has included numerous business development, marketing and communication roles at both large, global businesses and nonprofits. His current work is shaped by having spent half his career in business and the other half in international development (including time living and working with his family both in Zambia and Kenya), leading to a unique and practical understanding of how both of these sectors can benefit from the other and accomplish great things together. Hailing from Hayfield, MN, Linda Hutchinson, a farm kid, aspired to be a city kid, and made it. As the CFO (Corporate Fun Organizer) of Hutchinson Associates, ha! 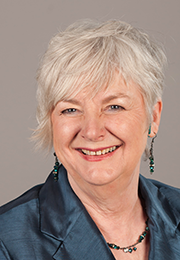 she is a national keynote speaker, adult educator, and laughter yoga leader. 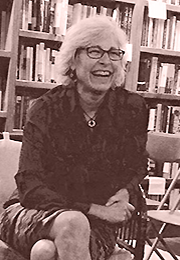 Hutchinson is the author of three books, including her most recent bestseller, “Laugh Yourself Happy: Kids Say Delightful Things.” Local bestselling author, Lorna Landvik, dubbed Linda a “curator of humor.” Hutchinson is a middle class, middle aged, middle child, and a Midwesterner of German and Irish heritage. Exploring her heritage gives her a fresh start in creating her own lasting laughter legacy. Her real claim to fame is that she was a contestant on Bowling for Dollars! She won a bowling pin. McKenna is a senior at Edina High School. She is an active member of her community, serving on the Edina Community Health Commission, the Edina Education Fund, and Keith Ellison’s Congressional Student Advisory Council. 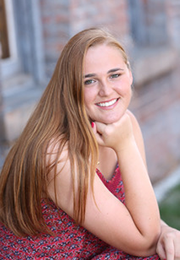 She is a leader in her high school as a Lacrosse Captain and President and Founder of three clubs: The American Red Cross Club, The Buzz, and Sit With Us Edina Chapter. Through these positions, she has worked to create an inclusive atmosphere in her high school. However, she has been troubled by the prevalence of mental illnesses in youth. Having first-hand experiences with these issues, she hopes to combat them and foster a more positive environment. 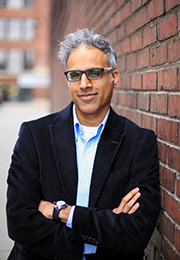 Vikas is an entrepreneur, blogger, speaker and adjunct professor. In this talk, we will see how human networks form, how silos are created and why bridging these divides is in our best interest – personally, professionally and societally. After spending 15 years in the start-up world, Vikas stumbled-on his own business idea (Keyhubs), while completing an MBA at Duke University. He nurtured the idea for a couple of years before quitting his job in 2009 to pursue it full-time. Keyhubs is a software-enabled management consulting company specializing in the power of human connection. He is also founder of Neighborhood Forest – a social venture dedicated to giving free trees to schoolchildren every Earth Day. Neighborhood Forest has given away over 18,000 trees in 9 states, which have been planted by thousands of children and families in mostly residential, urban settings. He is passionate about purpose-driven entrepreneurship and teaches on the subject, as an Adjunct, at Minneapolis Community and Technical College. He lives with his wife and two boys in Minneapolis. 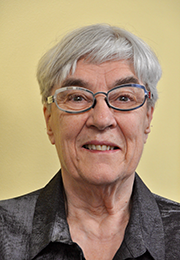 June Thiemann is the author of “All in the Asylum; The Lazy Person’s Guide to Self-Preservation.” She grew up on a dead end in Peoria, Illinois where her father was a civic leader and realtor who appraised the land for the local mental health facility that would later become a home away from home for several siblings. Her mother, a New Yorker and Northfield Mount Hermon School graduate, managed to get out of bed on enough days to not be taken “away” to a psychiatric facility as her mother had been in 1932. June graduated from Carleton College in 1984 and began writing in 1991, after giving birth to a son. Naming him after a brother who committed suicide, June began to put other names to the absences in her family. She couldn’t complete the project until she figured out a strategy to keep herself and her kids from disappearing. June is now a mental health proactivist and has helped to spearhead the first-ever Wellness Day at Southwest H.S. She has a Master’s in American Studies from the University of Minnesota. 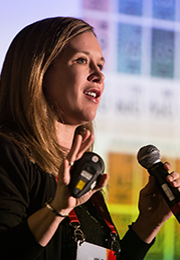 Visit here to see speakers from TEDxEdina 2015.